For 2019, Suzuki introduces a new version of an iconic motorcycle that embodies the sporty personality that only a lively, mid-sized V-twin roadster can deliver. 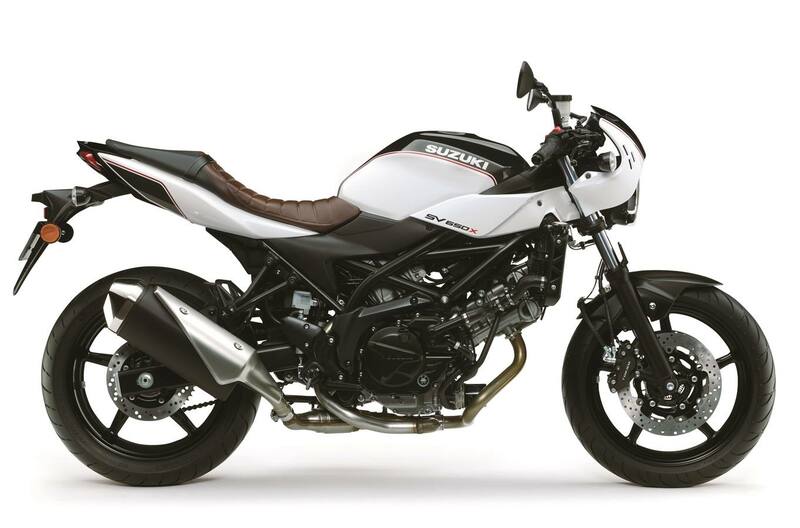 The new SV650X ABS has a polished power plant that provides increased performance with low emissions and outstanding fuel economy, mated to refined trim and lightweight chassis that delivers a sporty, exciting ride. 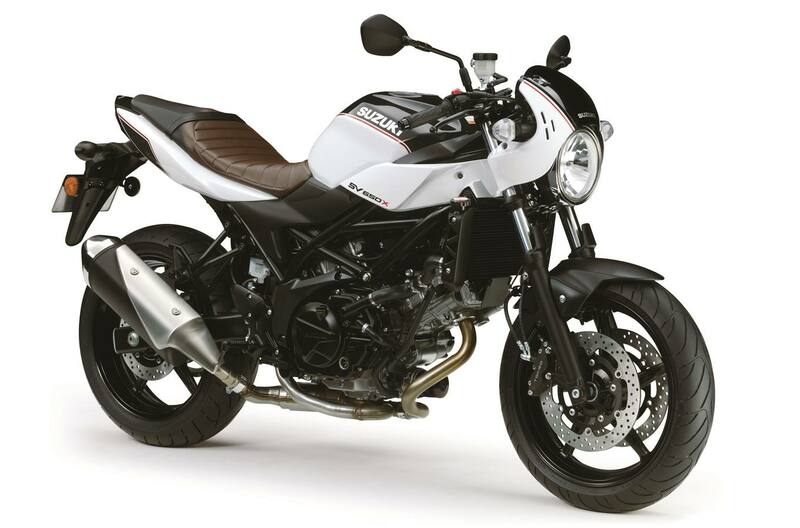 Like its predecessors, the 2018 SV650X ABS promises to have the sparkling performance, retro style and value that a broad range of riders will enjoy. *Depending on road surface conditions, such as wet, loose, or uneven roads, braking distance for an ABS-equipped vehicle may be longer than for a vehicle not equipped with ABS. ABS cannot prevent wheel skidding caused by braking while cornering. Please drive carefully and do not overly rely on ABS. Trellis-style frame constructed of high-strength steel tubes contributes to the motorcycle's lower weight and trim chassis. Each piston skirt has a special resin coating, and the other sliding part are tinned for less friction and greater durability - a first for a Suzuki motorcycle. Suzuki's innovative L-shaped piston rings contribute to reduce blow-by gas, resulting in less emissions and greater combustion efficiency. Both cylinder heads feature Suzuki's original Dual Spark Technology for greater combustion efficiency, better fuel economy and cleaner emission. The fuel injection system employs Suzuki's innovative, SDTV (Suzuki Dual Throttle Valve) with 39mm throttle bodies. The secondary throttle valves are controlled by servo motor for smooth power delivery and optimum combustion efficiency. Suzuki's patented, Throttle-body Integrated Idle Speed Control (TI-ISC) eases starting, stabilizes the engine idle speed and helps lower emissions. The system is compact and lightweight. Dozens of new parts create a compact, lightweight chassis with slim bodywork that's agile and fun to ride on a variety of streets - such as city traffic, highway, rural roads and winding roads. The high-strength steel, trellis-style frame is key to the motorcycle's trim and intelligent dimensions. The SV650's fuel tank width is 64.5mm (2.5 in.) narrower than the 2015 SFV650 but maintains the same fuel capacity. The slim fuel tank and seat joint aids the rider touch the ground better at stops. The rear shock's spring pre-load is 7-way adjustable so you can easily adjust for a passenger or cargo. Racing stripes and refined fuel tank shape enhances the motorcycle's sporty character. Fuel tank capacity is an ample 14.5L (3.8 US gal), CA model (13.8L, 3.6 US gal). Stylized Suzuki “S" 3-D emblems on the fuel tank and the fork upper bracket denotes the quality, sophistication and performance legacy of the brand. Colours, specifications, availability and pricing are subject to change prior to Canadian release. Stay tuned for more details on Canadian availability and pricing.